-Have you thought about who will carry out your wishes when you are not able?-Have you completed an Advance Care Directive? 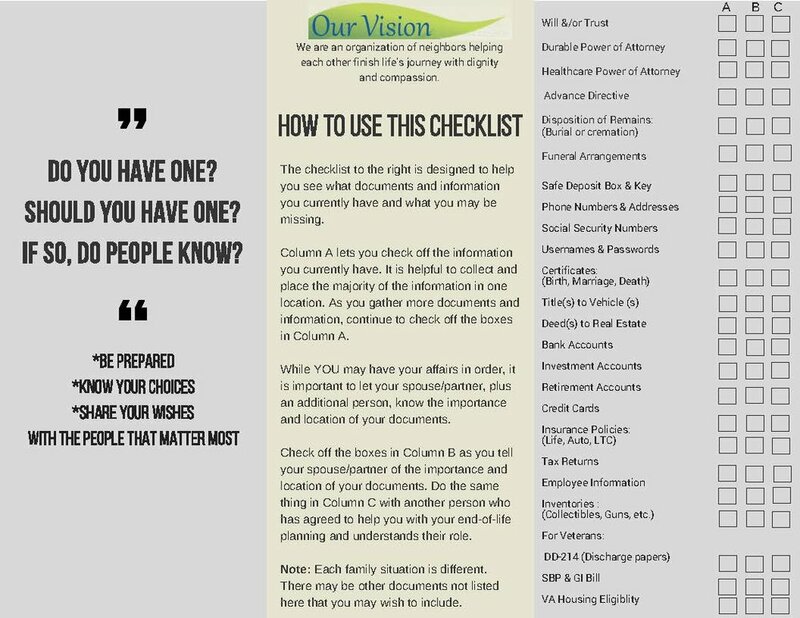 -Does the person carrying out your wishes know where the important documents listed in this pamphlet are located? Having answers to these questions helps ease the burden on your family members and friends. This checklist is a starting point to help you "get your affairs in order." It is much better to do this sooner rather than later so that you and your family are not trying to do this during a time of emotional stress.